When I added the Meemoo Meelight to my Amazon xmas wish list I was questioned by a few relatives..."why ask for a light for christmas? Its a bit boring Holly!" but ohh how wrong they were. The Meelight is potentially one of the most useful gifts I've ever received! When I first had Aria I found myself using my phone a lot during the night as a torch but found the bight white light on the iPhone too harsh; it would often wake her up and also meant that I would get sucked into reading through my Twitter feed at 3am...switching my brain out of sleep mode and making it harder to catch those precious zzz's. I'd been following Meemoo on twitter for a while and had my eye on the Meelight but originally thought that £39 was a little steep for a light so resisted purchasing it and hoped someone would buy it for me for xmas. Thankfully, my parents purchased it for me and I've used it every night since. 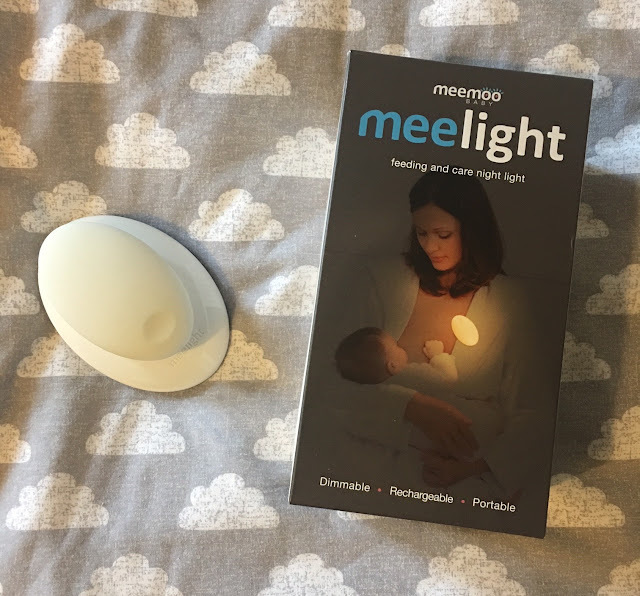 The Meelight is a stylish palm sized light designed to use when getting up for night feeds, nappy changes and whatever else the little babes decide to do during the early hours! As you can see in the picture above there are three settings to the soft golden glow; low, medium and high. Usually when doing the feeds in the middle of the night I just click the light once for the lowest setting then if we have to do the dreaded middle of the night nappy change I use the brighter settings. The light unclips from the base and can be attached to your bra strap/pj's or can just be used as a handheld light. I quite often use it to try and locate the dummy Aria manages to spit out across her co-sleeper! 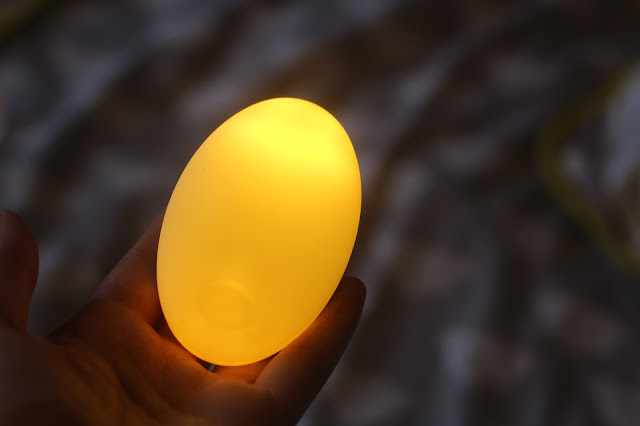 Not only does the Meelight help massively during the night it also acts as a bedside lamp; perfect to help make a calm relaxing atmosphere in the bedroom when giving her her last feed just before midnight. Once we move the babe into her own room the Meelight will be perfect in her nursery for massage time and night feeds; then when she's older it will be perfect as a reading lamp for her! As I mentioned at the beginning of this post I originally thought that the Meelight was on the expensive side but after having used it for a few weeks I think its completely worth the money; us mothers spend so much time awake at night I think its only right we have the right tools to make the job easier on us. Check out the Meemoo website here.